Billiards Direct giving great discounts to Billiards for the Brave Tournament players. 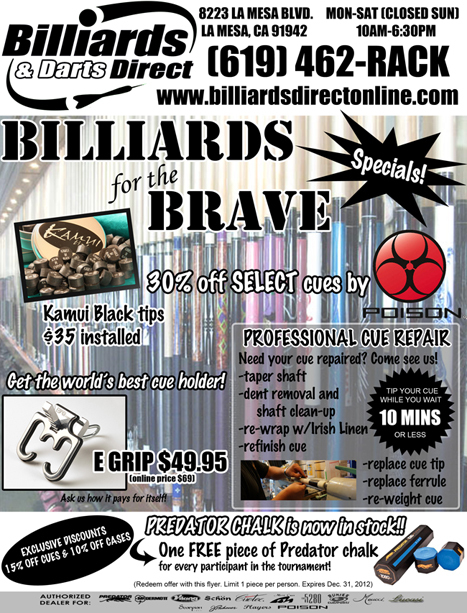 Billiards Direct is giving great discounts to all players who enter the Billiards for the Brave tournament on Dec 8th. A list of players will be sent to Billiards Direct on the day of the tournament. Offers expire Dec 31st.